Let’s be completely honest. Everyone has their own dreams and expectations about retirement. Upon retirement, some folks plan to travel around the world while others simply plan to take excursions to their local beach. Whatever the retirement plan that you may have, being able to implement your goals takes a certain degree of financial security. The problem however is that financial security does not just happen but requires careful planning, commitment and yes, money. To be a successful retiree, you must successfully transition yourself into retirement in order to meet your retirement objectives. In addition, you have to plan the amount of money you need and what you want to accomplish with your savings. Make sure that you do not carry your debts into retirement. Therefore, commit yourself to paying off as much of your debts as you possibly can. Eliminate car payments, credit card debts, personal loans, etc. Do what you have to do now to squash debt and make sure that you don’t obtain any new debts either. Have enough liquid funds in hand to cover at least a few months of expenses, without eating into your investments. Be prepared for the unexpected expenses while you transition into retirement. After all, emergencies will certainly come up but if you have a certain amount of savings, you won’t have to worry about them. Make sure that you have adequate insurance to cover your life, health, homeowners', and auto insurance policies. Reassess your insurance needs on a yearly basis to ensure that they suit your retirement needs. Be open to making changes as needed and check out your employer’s retirement coverage. Many of folks have been unpleasantly surprised to learn that their employers will no longer cover their medical expenses after they retire. So, if you find out now, you can take the necessary steps to protect yourself and your family. To ensure that you don’t outlive your assets, develop a retirement income plan that includes your income and expenses. Keep track of your current expenses and cut back as needed. The rules for benefits are rather complex, so talk to a Social Security representative a year before you plan to retire. By doing this, you’ll be able to understand your benefits and how much you’re covered. In addition, you should apply for social security three months before you want to start collecting your benefits or three months before your 65th birthday. If your employer offers a tax-sheltered savings plan (such as a 401K), make sure that you contribute as much as you can. 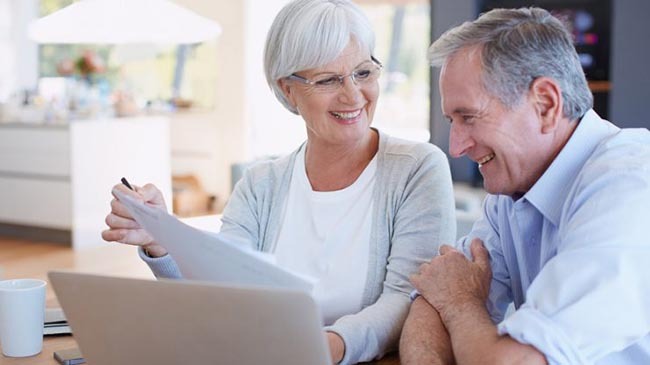 Not only will this substantially lower your taxes but will also make huge difference in your financial security due to the magic of compounded interest. Make sure that you have a valid will and/or trust. Not only will this protect your assets but will give you peace of mind. By putting money in an Individual Retirement Account (IRA), you’ll cleverly delay paying taxes on investment earnings. If you invest $2,000 in IRA at 4% when you are 30, it will grow to $112,170 by the time you are 60. Now that’s a lot of moola for simply being smart! Just remember that how much you have for retirement depends on the type of investments you make now. Learn how to multiply your savings using mutual funds, stocks, bonds, etc. Consult a financial advisor for additional information. Hospital insurance, which generally you do not pay. It helps to pay for hospital, hospice, and home health care. Medical insurance, which you pay. It helps pay for doctors, outpatient care, and other medical services.